On 7 June 2018 the Guardian ran an in-depth article with the headline: “Why we may never know if British troops committed war crimes in Iraq.” The piece focused on the Iraq Historic Allegations Team (IHAT) set up by the British government to investigate claims of abuse committed by its troops against Iraqi civilians. The article laments: “After its collapse, some fear the truth will never come out.” Yet the truth about what occurred in Iraq still struggles to emerge. On Monday Middle East Eye (MEE) published an exclusive report revealing that the British army operated rules of engagement in Iraq and Afghanistan that allowed soldiers to shoot unarmed civilians who were suspected of keeping them under surveillance. While the history of the occupation of Iraq tends to focus on American misconduct, such as the Blackwater shooting of 20 Iraqi civilians or the Abu Ghraib scandal, Middle East Eye’s investigation is a painful reminder of the forgotten British role in Basra and its environs during this time and the breaches of Geneva Conventions that ensued. The recent findings highlight a need for a critical examination of the British role in Iraq and the violations need to be situated within a greater narrative about how the UK government failed to address these past transgressions. The Iraq war was the first time since World War Two that the UK had taken part in an invasion and occupation of a sovereign state. 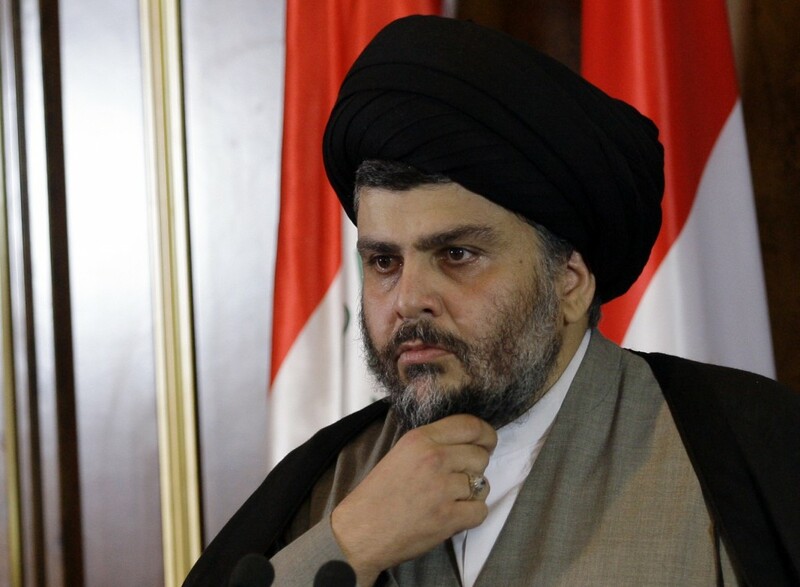 In April 2003 British troops entered Basra, and exactly a year later, these forces came under attack by the militia of al-Mahdi Army, led by Shia religious leader Muqtada al-Sadr. By May 2006 the UK assumed responsibility for securing Helmand province in Afghanistan from the Taliban. This deployment forced Britain to draw down on its forces in Iraq, reducing the necessary manpower to stabilise Basra. The British forces in Afghanistan operated under the same rules of engagement as Iraq, allowing soldiers to target insurgent spotters there as well, resulting in civilian fatalities in both theatres of combat. 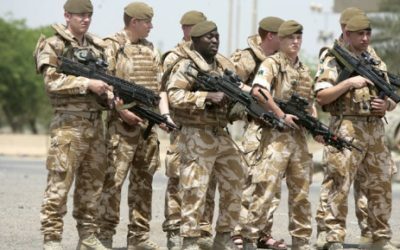 In August 2007 the British forces in Iraq made an arrangement with al- Mahdi Army that reduced its attacks on UK forces in Basra, eventually handing over the city to the militia, and by April 2009 Britain ended combat operations in Iraq. In both Iraq and Afghanistan, as MEE’s investigation disclosed, British forces appear to have been given permission to shoot “dickers”, a euphemism for “a spotter” working on behalf of enemy forces. The term emerged during the 30-year conflict in Northern Ireland, referring to persons who reported on British troop movements to the Irish Republican Army. The fact that the term continued to be used in Iraq and Afghanistan is symbolic, as the British failure to date to account for its actions during that conflict partially explains why such abuses re-emerged during the Iraq and Afghanistan wars. In Iraq, the practice of targeting dickers appears to have begun in June 2004 in Amara, in the south east of the country, after fighting erupted between British soldiers and the Mahdi Army. This relaxing of the rules of engagement would eventually result in the fatal shootings of civilians in Basra. In the words of one British soldier, this would lead to a “killing spree”. The Middle East Eye investigation needs to be seen in the context of how British institutions tried – and failed – to prevent abuses in the past, such as the targeting of civilians. As incidents of military misconduct began to emerge from Iraq, the British Ministry of Defence created the Iraq Historic Allegations Team (IHAT) in 2010 as a legal body that would investigate allegations of crimes and pursue prosecutions of infractions conducted by individual soldiers. The ultimate problem with IHAT was its mandate to investigate individuals rather than looking at systemic problems in the military. While individual soldiers had personal responsibility for their actions, problems often occurred as a result of faults or ambiguities during their training. Past precedent indicates why relaxed rules of engagement were allowed to occur in Iraq and Afghanistan. For example, five banned interrogation techniques, including hooding, white noise, sleep deprivation, food deprivation and stress positions, were outlawed by the UK in 1972 as a breach of the Geneva conventions, yet were used later by British soldiers in Iraq. By the time of the Iraq war, training manuals did not mention that these techniques were forbidden, nor did the manuals advocate using these methods. Institutional knowledge of the ban had been lost over time. The MEE investigation includes an example of such training material. What that example demonstrates is an institutional fault in what is termed “military doctrine.” Doctrine is basically the institutional memory of the armed forces, drawing on mistakes and successes from the past to guide the military in the future. What appears to be at fault with British military doctrine is that lessons from its past in dealing with counterinsurgency in Northern Ireland, which was a combat theatre where the enemy was embedded among civilians, were not applied to similar combat theatres in Iraq and Afghanistan, ranging from abuses during detention to indiscriminate targeting of civilians under the justification that they could be dickers. The failure to institute changes in military doctrine could be attributed to domestic British political considerations. In the run-up to the September 2016 Conservative party conference, Michael Fallon, then UK defence secretary, promised to dismantle IHAT, along with other historic allegations inquiries into Northern Ireland and Afghanistan. IHAT was dismantled, and while the British government has paid out compensation to past victims, there has not been a systematic effort to hold the system to account. Unfortunately, the perceived failure of the IHAT investigations into abuses in Iraq had set a precedent that discredited the entire idea of seriously investigating historic abuses committed by the British military, whether they occurred in Iraq, Afghanistan, or Northern Ireland.